Hats off to the Space Foundation for yet another great Space Symposium. Every year I say, “how are they going to do it, how are they going to raise the bar?” And every year they do, and it’s pretty easy to do so when you start off with the Vice President of the United States. I was preparing for this talk and I found out that the Space Symposium and I have something in common — the first Space Symposium was held in 1984, the same year I began my Air Force career. In 1984, only 250 people attended this symposium, and today I heard that a couple of weeks ago, the registration was cut off at about 14,000 attendees. I doubt for those who were here at the beginning that if you took a break and then came back today, you would not recognize the symposium as it is today. Congratulations once again to the Space Symposium for aging much more gracefully than me and thanks to the Broadmoor, as well. As I mentioned last year, if you are going to host an event, do it at the Broadmoor because it’s really hard to mess it up in a place like this. In between the 11th and 17th of April, NASA pulled together their tremendous team and, under the watchful eye of the entire American public, turned potential tragedy into triumph. I was just two weeks shy of my 8th birthday, and I remember very vividly being glued to my television set, not just for that but the entire Apollo program. Although this past year may not have had the intensity of the week long Apollo 13 mission, especially for those Astronauts who were on board, I am convinced that when historians look back at 2017 and 2018, they will look back on this as one of the most critical times in our national security space history. It will be seen, in my opinion, as a strategic inflection point for national security space and a bold shift towards warfighting and space superiority. So here we are at a Symposium that is not recognizable from when it started, with a speaker that may not be recognizable as well, and I am here to talk about national security space. If you haven’t been in the national security space business for the last year, then you don’t recognize it either. We have made historic advances this past year and I often say it’s an extremely exciting time to be in the space business. In my opinion, there are three big reasons for this historic shift and advances that have been made. First is a strategic alignment of vision, strategy, leadership, and resources. You have heard that throughout the beginning of this symposium. Our partnerships with the National Reconnaissance Office, with our allies and commercial industry are extremely important and growing. There is a clear and better understanding of the potential threat and the implications of that threat to our national and the joint force. The National Defense Strategy recognizes space as a warfighting domain and outlines the central challenges to U.S. prosperity and security as the reemergence of long term strategic competitors. The bold steps that we have taken over this past year enable us to compete, deter, and to win today and into the future. Let me put this in Airmen’s terms, I will say we have done a 9G turn towards space superiority. This 9G turn has been enabled by the strong leadership of our Secretary of the Air Force and out Chief of Staff of the Air Force. I first met Secretary Wilson 11 months ago and I took that picture on the left at the river entrance of the Pentagon when she was sworn in by the Secretary of Defense as our Secretary of the Air Force. Less than 24 hours later, an official senate photographer took that picture on the right, it is a much less comfortable setting than the river entrance… but this picture again was taken less than 24 hours later when we testified to the Senate Armed Services Strategic Forces Subcommittee on Space. I will tell you from day one, Secretary Wilson has been a strong advocate and leader for our Air Force and for space. If you have an opportunity the Secretary of the Air Force is here for the next for days, shake her hand and say thank you. The second half of this incredible leadership team is our Chief of Staff, I think he is landing at Peterson Air Force Base as we speak, he will be here the rest of the day and tomorrow. He is an Airmen’s Chief, I call him a big 10 Chief, he is here for all airmen. He speaks very fluently about multi-domain operations and space. He has spoken many times on future warfare, specifically on the need to normalize and treat space as any other domain. We have a great Chief, for those who have the privilege of hearing him speak this afternoon I highly recommend you do so. Last year when I spoke from this stage I had only have been in the job for the few months, so I did not have a lot of accomplishments yet, so I focused on history… it was the 70th anniversary of our Air Force and the 35th anniversary of Air Force Space Command. I broke the history of the command into three distinct eras, the first was building the command in the first 9 years when we build and consolidated missions under Air Force Space Command just in time for Desert Storm. Post Desert Storm we focused on integrating space capability to great effect, all the way up until I picked the demarcation of 2007 when China shot down their own weather satellite. I deemed that as a shift more toward space superiority. I also talked about a Space Warfighting construct which stared with a CONOPS, having the ability to command and control, having space situational awareness, being able to go fast to develop the capabilities that we need to defend our constellations and critical partnerships. Today I am not going to talk about a Space Warfighting Construct, because it does not exist anymore, it is a reality. Over the past year we have turned a construct into reality, and it all boils down to its just warfighting. Let me say upfront I could spend hours talking about all the things we have done over the last year. But what I would like to do is highlight a few of the major accomplishments. Most were significantly enabled by a budget that was very friendly to space. This year with the support of our Chief and Secretary and the Department of Defense, the President’s budget submission includes almost 7 billion more for space. We start with a concept of operations early on, I think this is the most significant accomplishment that we made. We wrote this concept of operations with the National Reconnaissance Office. This provided us the sheet music on how we are going to fight a fight that extends into space, and let me be very clear, we don’t want to fight this fight. One way we are going to not fight it is to be ready to fight and win if deterrence should fail. The NRO is the best partner we could ever have and I will tell you Betty Sapp is my best friend. Next we wrote a C2 CONOPS and a Space Situational Awareness and Indications and Warning CONOPS, and presented those to General Hyten, our combatant commander, for approval. Those CONOPS have provided the sheet music for how we operate and have had great effect for both us and the National Reconnaissance Office. Let’s start with command and control, probably the most significant, on 1 December, General Hyten as part of a larger, broader STRATCOM C2 reorganization, stood up a four star space component command, dual-hatted me in that command and we stood down JFCC space. That elevation from a three-star to a four-star operational component has been significant. It is more than just adding a letter to the name of an organization, it is significant in being able to integrate within U.S. Strategic Command and maybe even more importantly it has been extremely valuable being able to integrate with the geographic combatant commands around the world. Last time when I spoke here we had something called the National Space Defense Center… it was still experimental. Today it is operational. 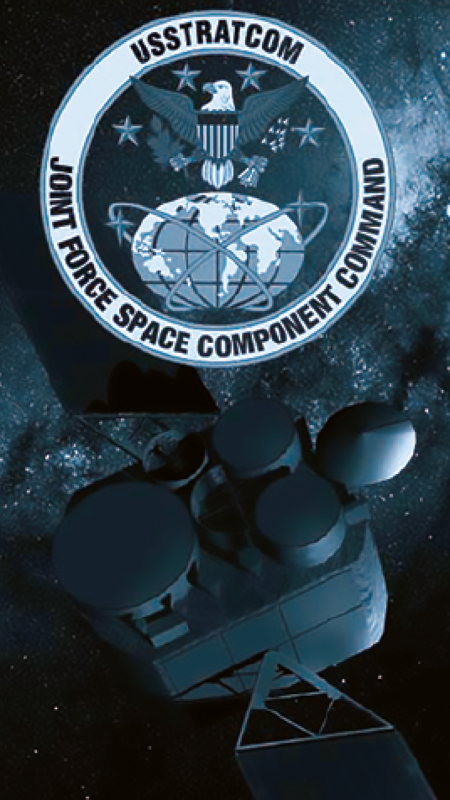 We now have an operational space control center here in Colorado Springs that enables me to do the Joint Force Space Component job. The JSpOC continues to mature, as well. We have focused the JSpOC on being able to provide those critical space capabilities to our joint warfighters and our allies. It is really clear today, just like any other domain, if we were to get into a conflict, we will do so with our allies. We have worked very hard to strengthen our allied partnership at the JSpOC and, as General Hyten has directed, this summer we will transition the JSpOC to a Combined Space Operations Center, a CSpOC, that will further the integration of our critical allies into our capabilities. If you have centers, you also have to have a system that can command and control, so this year we transitioned away from what we call the JSpOC Mission System Increment 3, a C2 system, and entered into a partnership with the Air Force Rapid Capabilities Office, Air Force Research Lab and Space and Missile System Center and we developed a program called Enterprise Space Battle Management Command and Control. It is a system that is open architected, fueled by industry consortium, built to enable speed and innovation and multi-domain integration that will be absolutely critical going forward. The progress on this system to date has been nothing short of remarkable and I am extremely excited for the transformational capabilities it will deliver. Stemming from the work that we did with the NRO in developing the CONOPS for Space Situational Awareness, we also focused significantly on Space Situational Awareness. 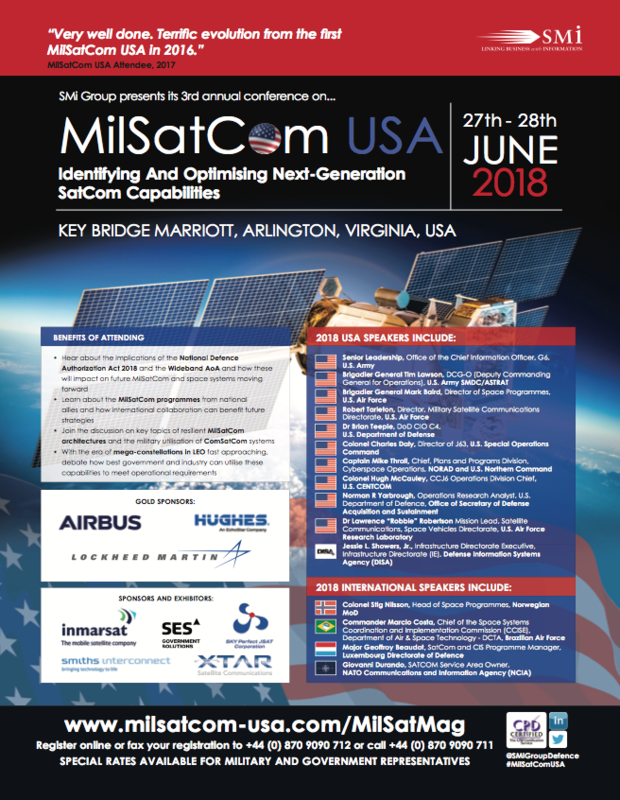 I just spoke about command and control — from that CONOPS we then canceled a program because it was not going to meet our mission needs and we entered into a partnership with the NRO on a joint Space Situational Awareness program which will provide better capability that meets our mission needs at a cheaper cost than what we have had in the past. Moving to defensible architectures, as part of this 9G turn toward space superiority, you have to have architectures that are dependable. We have taken several bold steps over the course of this last year to move in that direction. First and probably most importantly, in missile warning we recognize that the current OPIR was robust and affords us the opportunity to stake a step forward and that’s what we have done. We have taken a significant leap in this President’s Budget to getting to a next-generation missile warning capability which will provide us with critical missile warning capability for our nation, but will also be dependable. Rapid acquisition, Lt. Gen. J. T. Thompson, the Space and Missile Systems Center Commander, will talk later on this week, but we have made great strides in moving fast, as well. Consistent with the National Defense Authorization Act of this past year, we have renamed the Operationally Responsive space Office into a Space RCO, Rapid Capabilities Office. Renaming is good, but is not sufficient. Now we are in the process of building that capability to be an exact clone of the RCO, Rapid Capabilities Office that we have in other domains. We are going to build this clone with the same level of leadership, authorities, and resources that are necessary to deliver on the timeline that we need. I mentioned, as well, that partnerships are absolutely critical to us. To be honest, when space was a benign domain, they were not all that important, because you did not have to worry about something on orbit once it successfully survived launch. Today’s partnerships are vital in the contested space environment — partnerships strengthen our advantage and complicate potential adversary decision making. I have already highlighted a couple of partnerships thought this speech but let me move forward and highlight a few more. I can’t emphasize enough about the strong partnership we enjoy with the National Reconnaissance office, it has never been stronger and it’s a source of great strength to both organizations. We have made significant advances that would not have been possible even just a few years ago. On the commercial front, we are not only working internal to the government, but we have several partnership opportunities that we are partnering with commercial. Those range from launch to re-entry and everything in between. Let me highlight launch — the commercial launch industry is going to enable us to fundamentally transform how we do launch and range operations in the future. 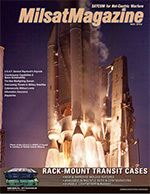 This year, the 45th Space Wing down at Patrick Air Force Base has a goal of reaching 48 launches in one year. To put that into perspective, 48 launches is more than half of the 90 launches accomplished worldwide this year. We couldn’t do this without transitioning to autonomous launch operations. 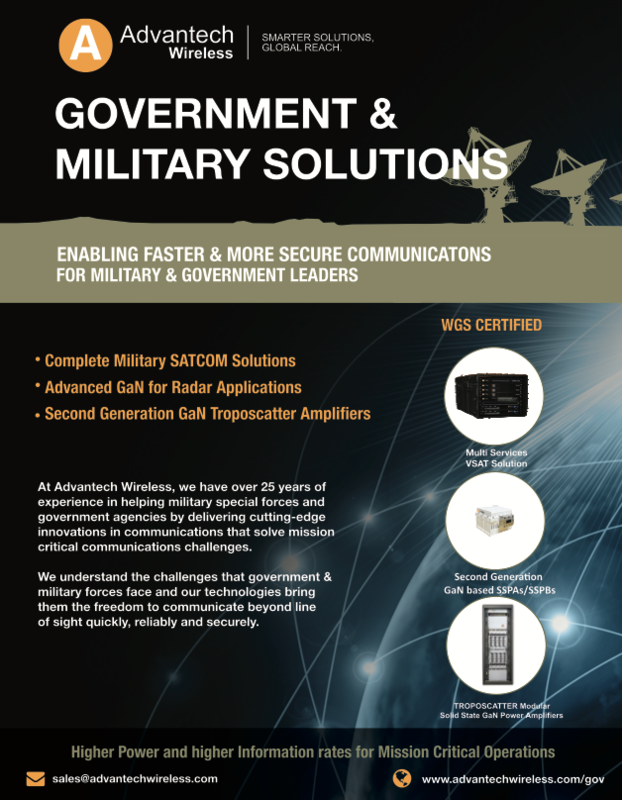 Historically, when we conducted launches, we had radars and telemetry dishes and optical capabilities and command destruct capabilities to protect public safety. We would bring in a crew to operate those capabilities and we had individuals on the consoles to blow up a rocket if it went astray. The commercial industry moved in a different direction and are moving us towards autonomy, which will reduce manpower and cost significantly and allow us to go faster and have more opportunities to access space. We have chartered a team that is currently building the future launch and range vision and the goal is to get to all autonomous ranges in the near future. This will pay significant dividends not just for us, but the entire space industry. I have mentioned our efforts to pattern in operations and development with our international coalition of allies and partners, we also do this in training. One example is the Schriever Wargames. It’s an annual exercise and in that exercise are our Five Eye partners. Over the last few years, we have added France and Germany, and this year we have expanded it even further and Japan will be participating in the Schriever Wargames. Just like in the F-22, that 9G turn for us is not possible without the Airmen to pilot it. We are investing in the development of our space workforce accordingly. In the FY19 budget submittal we have added approximately 175 million dollars to training infrastructure which directly enhances our warfighting readiness. This includes increasing exercise and training opportunities for space operations teams as well as funding the development of space training simulators that will mirror where the broader Air Force is going in live, virtual and constructive environments. One of the critical things we have developed is something called Space Flag. I know you all have heard of Red Flag and understand the importance of Red Flag in developing our Airmen before they get into a fight — Space Flag is the same thing for the Space Domain. We did two last year and this year Space Flag is going on as I speak here in Colorado Springs — we will do two this year and next year we will do three. They have already provided significant dividends. Over the last year we have already made some pretty significant strides in developing the space leaders that we need to operate in a contested environment. That takes me to the wrap up point, I have just taken a whirlwind tour through the efforts that have gone on over the past year. Any one of those would have made a big year, I could write another book on things we are also doing that I have not talked about. Focusing on C2, defendable architectures, Space Situational Awareness, partnerships and developing our Airmen. The reason we dominate as an Air Force is because of our Airmen. What I would like to do is highlight a few of our Airmen I am privileged to lead as part of Air Force Space Command and Joint Force Space Component Command. Airmen who are selfless and courageous, such as 1st Lt Dominic Vicino, please stand up. Dom, thank you. Dom was a water polo player at the Air Force Academy, he is stationed down at Eglin… he was at the beach, he knows the currents are really bad and he notices two people that are drowning and he jumps in to save them. While he is doing that, a life guard jumps in but starts to drown, as well. So Dominic pulls three people out of the water, saves three lives and earns the Airman’s Medal. Dominic, thanks for being here. Just as swimming on the beach is not a spectator sport, neither is space superiority — as our Chief says, it has to be trained for and fought for. Our Airmen are doing just that. As I talked about Space Flag and the advanced training that we have been doing, there is an Airman who has been the principle architect of that, Major Kenny Grosselin, Kenny please stand up. Kenny is a graduate weapons officer and is now transforming our weapons school to better train operators for the environment that they face today. He has also been a principal architect of the advanced training we have done and the Space Flag exercises I just spoke about. Kenny I really appreciate all of your hard work and expertise, thanks you. The other thing is that if you are going to have space superiority, you can’t do it from home, you have to deploy. Our Airmen in Air Force Space Command answer the call to deliver space superiority to our nation and our allies, TSgt Pat Thompson please stand. Pat deployed in support of Operation Inherent Resolve proving critical space effects to the CENTCOM AOR and then redeployed again to Afghanistan in support of Operation Freedom Sentinel and Operation Resolute Support. Pat I can’t thank you enough for your selfless service making sure that our joint warfighters and allies they Another Airman that I brought with me today is part of that ground breaking organization I spoke about earlier, the National Space Defense Center, SSgt Adam Swift, please stand. Adam’s full time job is focusing on space superiority, he was the first pick to help stand up the National Space Defense Center, he has been there since the beginning. It’s kind of like kids and they are growing up and people have not seen them for a while, they come over and say “look how tall they have gotten,” — same thing with the National Space Defense Center. If you have not been there in a while and you go, you will say “look at all the advances we have made.” It’s because of Airmen like Airman Swift, so thank you for all you have done, we appreciate your expertise. Finally, our last Airman is a civilian airman, Dr. Mark Eddings… Mark is a principle architect of something we call the space TTX, a tabletop exercise that our Chief and Secretary asked us to put together and provide to the entire senior leadership of the Air Force… we have given it to every level of our government including the Vice President, Secretary of Defense, Deputy Secretary of Defense, Chairman of the Joint Chiefs, STRATCOM commander, other joint force commanders and congress. It has had a huge impact, so Mark thank you for your expertise and the work you did on that is nothing short of heroic and we really appreciate that. Just I have highlighted the five amazing Airmen, I wish I could highlight all 35,000 of them, because I am privileged to lead a group of people that are all equally impressive. I do have one more person to recognize, but he is not an Airman. Under my new joint hat for U.S. Strategic Command, I have a growing joint team to help me with my joint role. One of those is Army Major Jerry Micka. He is a former engineer branch officer who is now an Army space operator, he is stationed at Vandenberg as a chief of current operations at the JSpOC, he was our lead for tracking the reentry of the Chinese space station. That was a heroic effort pulling in partners from all over the world. I appreciate your support, thank you for what you do out at Vandenberg. So space superiority is a core mission of the United States Air Force. As I mentioned throughout this speech, we are making a 9G turn with very bold steps to get there. The need to gain and maintain space superiority is not just an Air Force requirement, it is a joint requirement and in the future the entire joint force will be called upon for its full spectrum of capabilities, not just to gain abilities from space effects, but to gain and maintain the space superiority that we need. Said in a different way, space superiority is not just a space officer’s task, it’s a joint warfighter’s task. Thank you, and thank you very much for all you do for Air Force Space Command, we can’t do this without you, these are always great events to network and share ideas and thoughts, and I really appreciate the attendance.